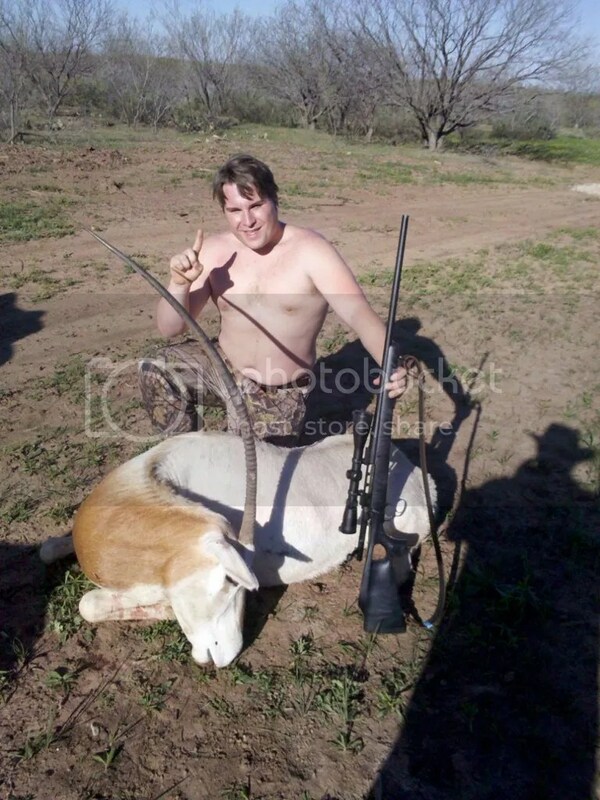 There has been a lot of debate on whether it should be legal to hunt the Scimitar Oryx or not. The Scimitar Oryx is endangered in its natural habitat in Africa. However, many hunting ranches in Texas have brought over some of the animals, which have thrived in the Texas climate and landscape. Texas participates in programs where they send back some of the oryx that have been bred here to the nature preserves of Africa. The people who are for hunting the oryx in Texas say that because of the demand for hunting oryx, more are being bred here than anywhere else in the world and healthy animals are being sent back to the plains of Africa. If you remove that demand there will be no incentive to breed them any more in Texas. The people who are against it say that people should not be hunting any endangered species. 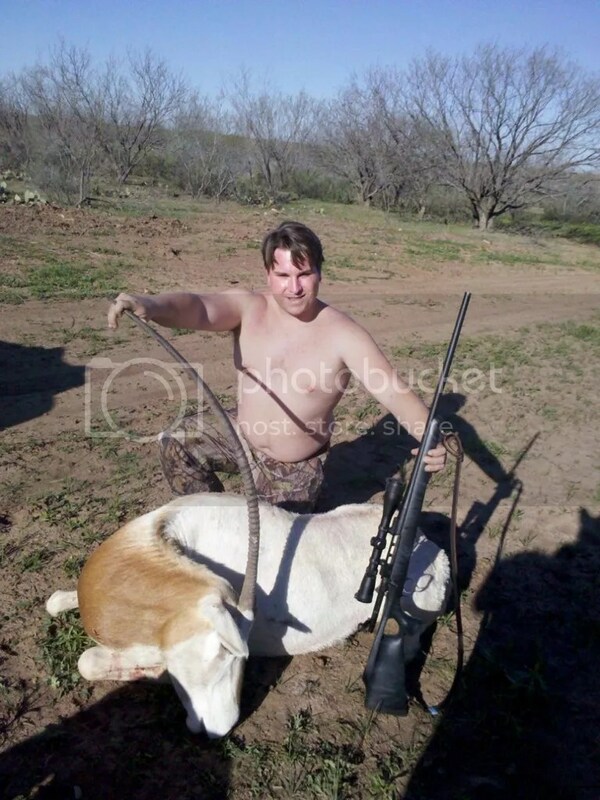 Texas decided to pass a law that would require a special, expensive permitting system to hunt Scimitar Oryx, Dama Gazelle, and Addax, which would go into effect in April 2012. My Dad and I decided we better book a hunt now before the new regulations kick in and we may never get the opportunity to do this hunt. We booked the hunt with an outfitter outside of Dallas. My Dad and I did the long drive from Houston out there, the same weekend that the rest of the Lost Boys went to try to catch some early spring sandbar sharks. We arrived in the early afternoon get some lunch and then began the hunting. My Dad was up first. We traveled to the back portion of the 4000 acre ranch where our guide had last seen a herd. When we got there the guide was able to spot the herd right away, which I have to admit, took him pointing at many trees for me to finally find out where they were located. 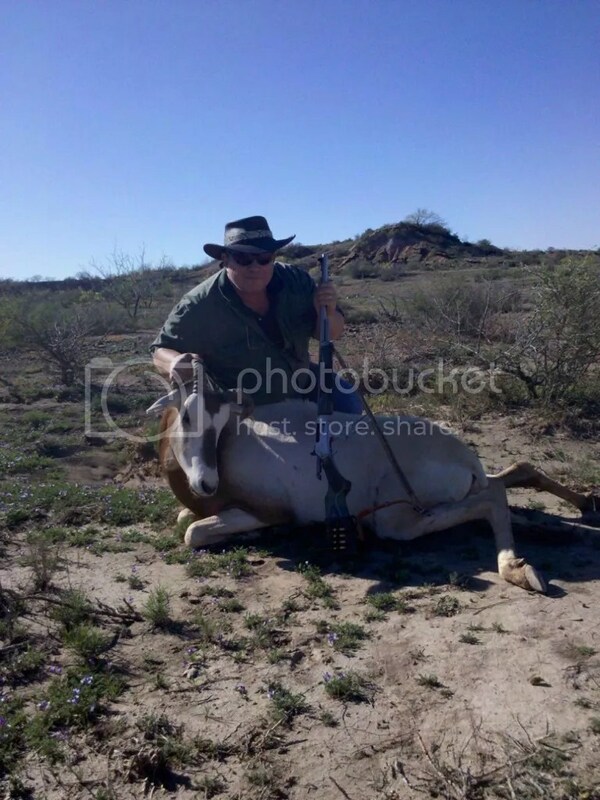 My dad was after a male oryx as a meat hunt. He was offered a good deal on a bull that had some deformed horns, so that was who we were after. My dad was using his trust 450 Marlin lever gun with open sites. This is the same gun that he used to take down his bull bison a few months before this hunt. It takes a lot of skill to take a long shot on a moving animal with open sites using such a high caliber rifle as that. We got out of the truck and made a stalk but they knew what game we were playing. Every time we went one direction they would go somewhere completely different than what we thought. The guide told us to hide out behind a brush pile, and as we walked back to the truck then came right at my Dad and I. When the one my Dad wanted gave him a shot, BOOM game over. We were able to recover the oryx after a short run it made. After the excitement settled, we got some pictures and loaded up the animal. After my Dads hunt, I thought that our day would be over and the guide did too. He said they would never stop moving now, and it would be hard to get a shot within 200 yards. “But, do you wanna try?”, He said to me. I knew I could make a 200 yard shot no problem, so I figure why not. I was after a trophy Oryx. I was hoping to get a nice bull with horns in the upper 30″ range. We sat up on this ridge overlooking this valley. We spotted the herd was just walking back and forth in the bottom. The guide was glassing the herd with the range finder. The guide finally called out 350 yards, which would be the farthest shot I had taken at an animal, but I was confident. I aimed the 338 win mag right where I thought I needed to aim to account for the bullet drop, wind, and the walking oryx and BANG, lights out! The oryx fell in its tracks not moving an inch. We waited a few minutes to make sure it wouldn’t pop up but it didn’t budge. We drove down to pick it up, and it still hadn’t moved. It was dead from the moment I pulled the trigger. I finally got to see my trophy up close in person. It was a beautiful 39″ cow. Again, after the excitement and celebration settled, we took some pictures, loaded the animal, and headed back to the ranch. The only bad thing about this hunt was it was supposed to take the whole weekend, but my Dad and I knocked it out in one afternoon. We left the next day with the trophy’s in the bed of my truck and the memories that will last a life time. The oryx is at the taxidermist now waiting for a full shoulder mount. One cool fact about oryxes is that since they have such steep back sloping horns they can only be mounted looking to the side, otherwise the horns would go into the wall.